Let's paint the progression. Finn.ai, a chatbot company that integrates banking services into Facebook Messenger and other chat channels, launches Bolt for the Bank of Montreal. The project took 10 months to private label and deploy to BMO's 12 million customers, covering 250 questions at launch. As the app gathers more information about what customers ask, its usefulness grows and it becomes an increasingly relevant channel for customers to ask their financial institution informational questions. 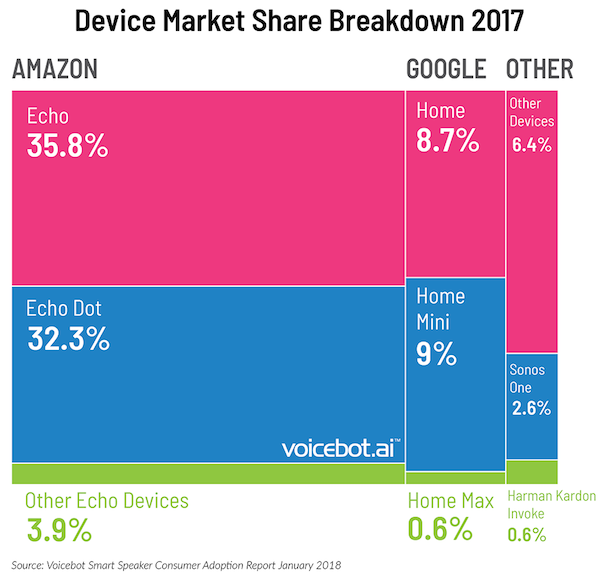 By the end of 2017, 40 million smart speakers were installed worldwide, with 2018 projected to land at a 100 million install base. People are getting more than one instantiated smart assistant -- littering their home with several Echo dots. And, reportedly, Alexa lives in 3,000 others types of smart-home devices -- giving this bot army 45,000 skills, from Spotify to financial conversations. 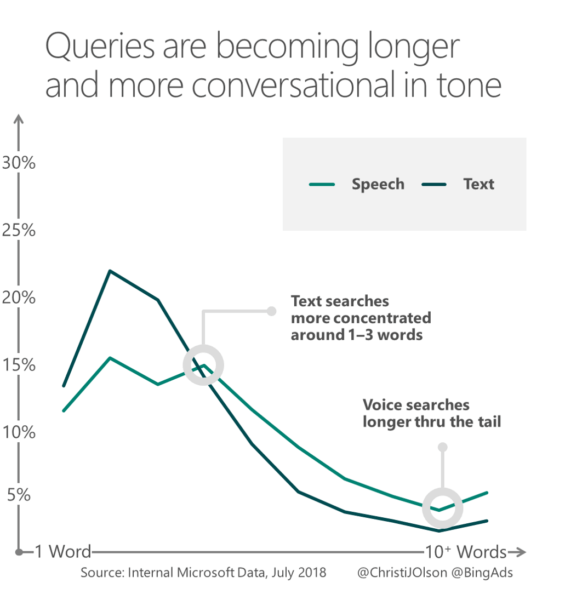 Google and Apple are working to catch up to these numbers, releasing eerily realistic robo-conversationalists like Google Duplex that can answer telemarketing calls and book hair salon appointments. And maybe cancel your financial subscriptions. What's perhaps most important is that an answer to a voice query is 40-80% fulfilled by the "featured snippet" at the top of a search engine's list, according to Martech. That means no more long tail of any kind, full stop. Eventually, it is no longer enough for our avatars to be disembodied functions powered by a retail product recommendation engine. 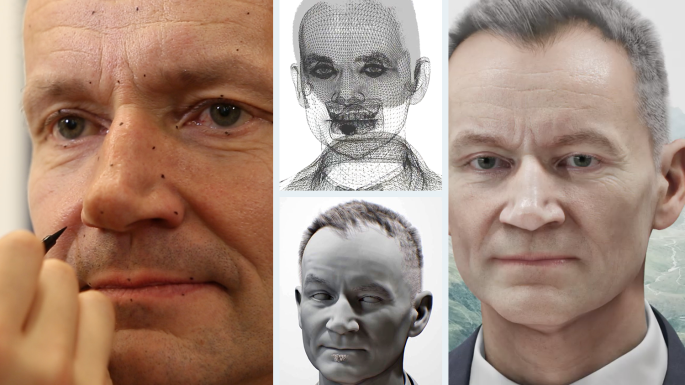 From virtual worlds and into augmented reality, agents will take on hyper-realistic rendered physical bodies. A recent Intel whitepaper describes how machine learning is now being combined with a modeling of animal and human bodies under a physics simulator to quickly and realistically build CGI for games and movies. Instead of an artist using intuition to draw the perfect frame, machines build skeletons with physical properties, connect bones with digital ligaments, fire up virtual muscles, and package the final version in the species of choice. Machine learning algorithms add realistic, generalized movement to the equation. They can also add speech, appearance and function. And maybe even help the UBS chief economist look a little bit more lifelike!